Accidents happen. You put on the gas in traffic, and end up hitting the driver in front of you. You invite people to your home, and someone slips on an icy sidewalk. While there will always be situations in which mishaps are unavoidable, knowing how to handle these situations when they arise can help to save you time and money, while protecting you against legal liability. Part of asset protection is planning for the unexpected, and the following provides helpful tips to help ensure you are prepared. The Centers for Disease Control and Prevention reports that roughly 31 million people are injured each year as the result of accidental injuries, and the most common places for these accidents to occur are while driving in a car, at home, or in a business. Car accidents claim more than 35,000 lives each year, while premises liability accidents, such as slips and falls, being struck by or against an object, food poisoning, and severe burns, injure millions more. Make sure anyone injured receives medical care immediately. Notify local law enforcement or security to ensure a report is filed. Make a note of the circumstances surrounding the accident, such as the date, time, your own and others actions in the moments leading up to the accident, and the names of any witnesses who may have been present. When making any statements after the accident, whether to the victim, to law enforcement, to other employees, or to your insurance company, be careful to avoid admitting liability or making any statements which could later be used against you. Review all your insurance documents carefully with your attorney, to ensure you have the appropriate types of coverage. Consider increasing your insurance deductibles, and use the extra money to buy additional coverage. Avoid signing personal guarantees for business obligations, and make sure any business interests are protected through legal entities such as a sole proprietorship or LLC. 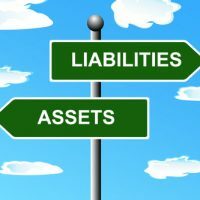 Consider placing assets into trusts or retirement plans, which may shield your assets against a judgment. At Cavallo & Cavallo, we work hard to help ensure your hard-earned assets are protected. Contact our New York estate planning and asset protection attorneys to review your policy and estate planning documents, to ensure they work in your favor.